2yo Quincy got to meet his heroes Friday, the guys who collect garbage on his Cincinnati street on Fridays. And it was a little overwhelming, reported his dad. To the local news station, because I guess nothing more awesome than this has happened in Cincinnati for months. 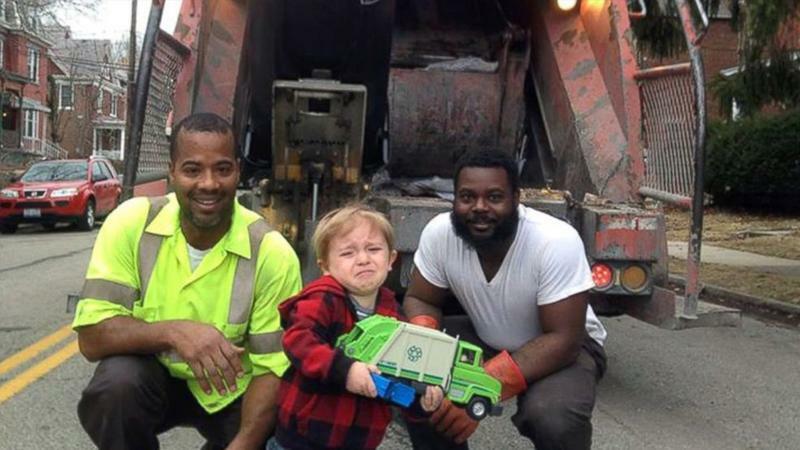 Keep on recycling, little man!